No more pencils, no more books, no more teacher’s dirty looks! That’s right – it’s graduation day! After the school bell rings, some lucky kids will be all done with college and ready to start life in the real world. Okay, maybe they won’t be totally ready for job hunting, apartment viewing, taxes…yikes. Who wants to grow up, anyway? In honor of all the graduates out there, Old Time Candy would like to take some time to remember what it’s like to be a kid. Drop your bookbag by the door and we’ll bring back a little bit of your childhood to help you through the graduation growing pains. 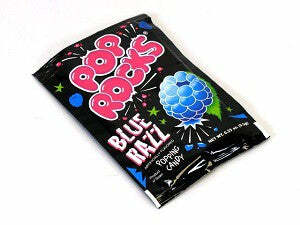 It seems like no matter how old you are, Pop Rocks were a huge part of your childhood. That pleasant little fizzle brings kid-hood back to life in full color. These days, Pop Rocks are the perfect incognito sizzly snack. Sneak a packet into your yoga class – your instructor will be none the wiser, and your downward dog will be more daring than ever. Admittedly, we all ate our fair share of paper backings…but that didn’t make Candy Buttons any less tasty! These strips made you feel like the Moneybags of sugar, dealing out a modest button to all the kids begging for a nibble. If your friends were lucky, they’d get a strip to themselves! It’s a wonder that having Candy Buttons didn’t count for an Economy credit. When’s the next time you’ll be able to have a rock this big?! Slip a few Ring Pops on your fingers and live like sticky, sticky royalty while it lasts. 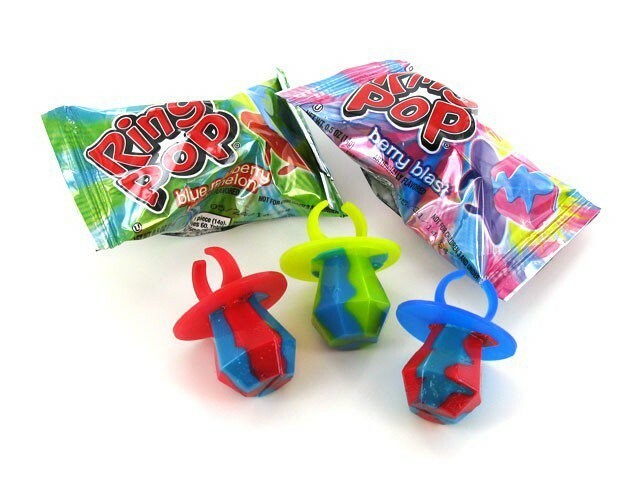 These suspiciously pacifier-like suckers are a treat for anyone looking to get in touch with their inner child. Now, if only they made candy money…. Sure, your graduate might be a little peeved that this isn’t real money, but it’ll teach them the important lesson that real wealth comes from the heart! 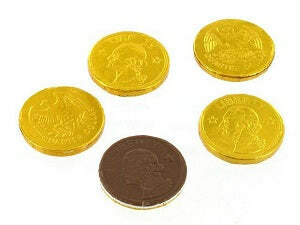 Or they’ll just eat these Candy Coins for dinner in between job hunts. Either way, they can feel the satisfying jingle of (chocolate) change in their pocket on their journey to adulthood. And a satchel of these looks super cute in a gift bag! Young and old, getting that scroll is an amazing accomplishment and should be celebrated! Let them know you’re proud by showering them with candy, and maybe toss in some emergency pizza money, just in case. Here’s to the graduate in your life, and all the amazing things headed their way! If you enjoyed these candies, take a browse through our Graduation Gifts section under the Candy By Occasion tab on the website. Happy walking!